Here’s yet another update to prettyPhoto. It’s quite a big one too, I’ve decided to change the default theme and add ajax support…finally. The theme is a collaboration between Orman Clark and Christian Budsched (Kriesi). I just saw it being used in a WordPress theme and found it so nice that I had to make it the default theme of prettyPhoto. So Orman and Christian, thank you very very much for saying yes! Fixed: Long title would cause the box to jump up a bit. Fixed: Browsing throught picture wouldn’t bring you back to the end when clicking previous while being on the first picture. Fixed: Issue where the inline gallery would cause a preloading of the iframes. Optimized: Gallery injection script, now 30% faster. 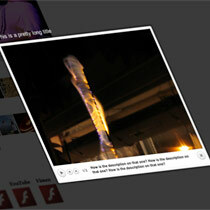 Changed: The YouTube embed code for the new iframe embed. Changed: Slideshow are now enabled by default. As usual, head over to the project page to download the latest version. Hooray for 3.1! Love the new theme you added too. Thanks! OMG! Love this script but it’s about to make me go mental! Am trying to get some inline content to work (iframe content works fine), however i keep getting a ‘Image cannot be loaded…” error! I’ve searched for hours now, and it seems to be a common issue – however I can’t find a cure for it! Is there anyway to use the latest version without showing the image gallery thumbnails? We prefered the older version, much simpler. But the new code it is a requirement, given the problems found with the new IE9. hi Caro, does it works with wordpress? its a plugin for WP or in custom html use? tks! congrats! Hi, I have a trouble…. 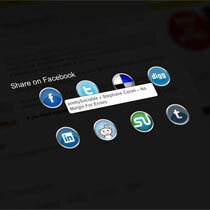 I want insert a link, near social images, to download the photo is viewing…is it possible? How? My suggestion is either to move the changepicturecallback() to below the _insert_gallery() call, or if that might break historical code, add another callback – pictureloaded() or something. Otherwise, script looks great. Thanks! You might think about adding that as a default option? Is there a way to make a minimum size for the pop up? Sometimes an image that is too small gets loaded and the top close button drops to the bottom and doesn’t work. Maybe a way to make it a minimum size of 200×200 or something would work. Hi, i’m having problem after an AJAX call. 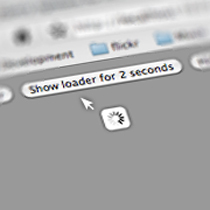 Simply this plugin stops working after i load a new content with ajax. I already tried re-initialiting the plugin in the “success” of the $.ajax but it didn’t work. Hi, I’m wondering if it would be possible to have prettyPhoto open automaticaly when entering on a page with images ? If yes, could you tell me which parameter I should change ? Is there any other alternative choice to avoid this version compatibility problem. I am glad that i read prettyphoto them and support. Full of star site it is https://passwordwindows10.com help the programme in the windows 10. Thank you for taking to the time to write this informative blog post. It’s great article with good and useful information! I appreciate your work. “I just saw it being used in a WordPress theme and found it so nice that I had to make it the default theme of prettyPhoto. So Orman and Christian, thank you very very much for saying yes!”……. In fact, you may enjoyable entertainment that you weren’t expecting to find.